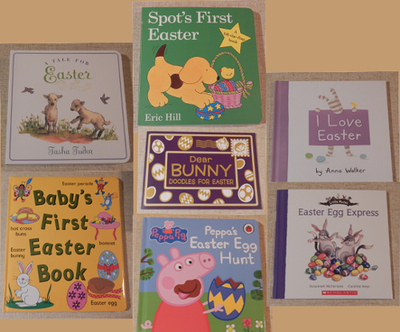 Every year during the Easter period, a whole host of books are published for children. 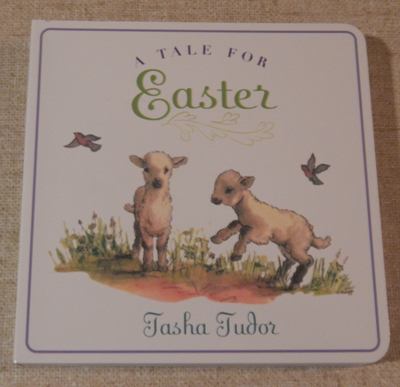 Often given as a gift alongside a chocolate egg or two, these books extol the virtues of the Easter spirit, and often feature rabbits, chicks and chocolate eggs. Below are a few of the titles on offer. This large, brightly-coloured board book has been created specifically for young children aged one and up- teaching them some of the new words they may discover around Easter time. Each page features a large, central illustration in bold colours, and the word associated with it either below or over the picture. This helps to build knowledge of word and letter relationships, in recognition with the images- teaching your toddler key learning concepts and getting the ball rolling on their education! Not only will your children be learning from an early age, but they will also love the simple and bright pictures throughout the book. It’s Spot’s first Easter, and the Easter Bunny has hidden six eggs for him to find. With the help of his friend Helen, Spot begins to search through the garden and house, looking for the hidden chocolate eggs. Will they find them all? This is a great introduction to the concept of Easter Egg hunts. This little board book has a lift-the-flap on each page, which means that children can ‘help’ Spot and Helen search for the missing eggs. 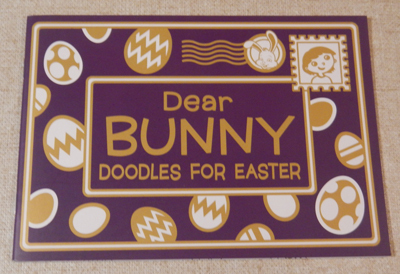 The Easter Bunny is also hiding on each page, watching Spot and Helen’s progress and giving helpful hints, and younger children will delight in trying to find him too. 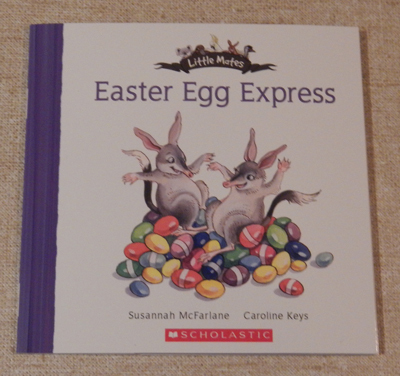 There is also an element of learning involved in this book, with simple counting involved to find all six eggs. 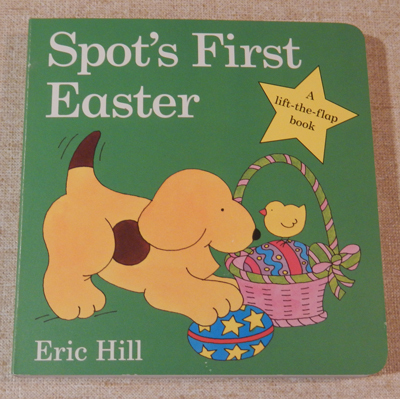 The bright, simple illustrations are appealing, and fans of the Spot series will love having this Easter-themed book in their collection. Peppa Pig is one of the most popular children’s shows going around. Beloved by its young audience (and their parents! ), the show uses simple stories to teach children about many different things they will encounter in their lives. 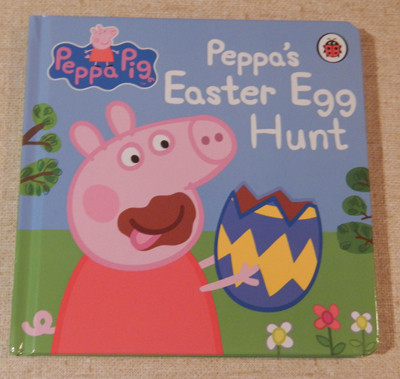 This book focuses on an Easter Egg hunt, which Grandpa Pig has organised for Peppa and her friends. They walk around the garden, finding and eating the chocolate eggs he has hidden. Then Granny Pig suggests they go and visit the chickens, who also have eggs. But these eggs are special, because they’re about to hatch! 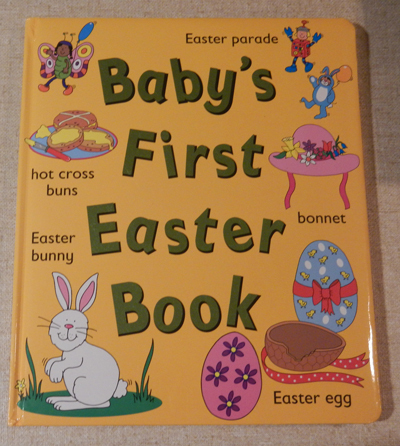 While Easter is mostly known for its commercial aspects (the chocolate eggs), this board book also covers some of its other themes, such as new beginnings. The birth of the new chicks provides the perfect introduction for young children to other aspects of Easter, which may get hidden amongst all of the chocolate talk during this time. This little board book is for the more whimsical amongst us, who love softly-muted, old-style illustrations and a sweet storyline. This classic little book is more traditionally-focused than some of the other offerings available to children- there is mention of Good Friday and Sunday School- and most children will be unfamiliar with the activities that the young girl undertakes in her rural, old-fashioned life, such as helping to make hot cross buns in the kitchen and feeding the chickens. The little girl learns that if she is good all year round, she will have lovely dreams the night before Easter, involving fawns, lambs, bunnies, mice, ducklings, bluebirds and daffodils. If she’s really good, she might even find some brightly coloured eggs in her shoes or best bonnet in the morning. This book is probably better suited to nostalgic grandmothers than children, but the sentiments are sweet. If you want to avoid chocolate and commercialism all together, then this book is the way to go. 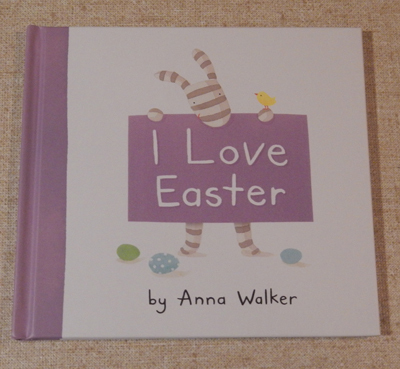 Anna Walker’s popular and sweet character Ollie is back, and this time, she’s excited about the approach of Easter, and the upcoming Easter Fair. She and her friends make themselves some colourful and pretty bonnets to wear on the day, as they go and look at all the baby chicks and ducklings going ‘cheep’ and ‘peep’. They participate in an Easter Egg hunt and enjoy a lovely picnic together, eating chocolate and hot cross buns. The illustrations in this book are extremely cute, and children will love seeing the antics that Ollie and her friends get up to as they celebrate Easter. There have been a few books released in this series for special days (such as Valentine’s Day, Mother’s Day and Father’s Day) - here is the Easter edition. This small activity book is perfect for those who want to buy something to keep the children amused, but which won’t break the budget. Every page features cute illustrations which can be coloured in, and some even have activities which the kids can complete, including simple dot-to-dots and requests to complete the drawings. At only $4.95 (RRP), this book would be a great present (along with a small Easter egg) for the young child in your life. If you haven’t yet come across the Little Mates series, you’re in for a treat. There are around thirty books in the series (ranging from A to Z, as well as special titles) which feature Australian bush animals getting up to all kinds of things, and there is now an Easter title to add to the collection. Ellie and Eric are Easter bilbies, who work at the Egg Emporium in Eumundi. The Egg Expert has entrusted them to wrap and deliver hundreds of eggs in the bush for the children, but there are so many eggs and the route is so exhausting that the poor bilbies soon feel overwhelmed! Luckily, some of their friends are happy to help, and together they hide all the eggs for the children to find on Easter Morning. The Little Mates books are well known for their alliteration (using the dominant letter from each title as the basis of the story), and being small in size, light-weighted, and distinctly Australian, are popular for people to send to children overseas, making them the perfect little present. This is great, thanks! I always like to share seasonal books with my little ones.